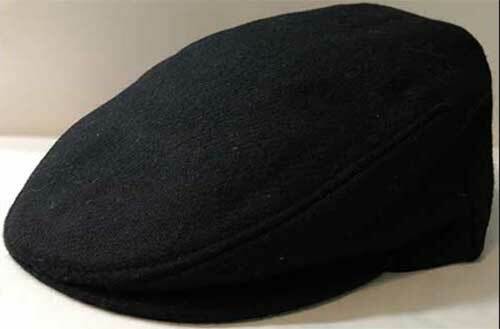 Irish flat cap is a classic black color. This flat cap is made in Ireland of pure lamb's wool. Flat cap in moss green features a warm tone that is woven from pure Irish wool. Flat cap made of patches of pure wool is naturally named an Irish patch cap. Flat caps will prove to be one of the most adaptable hats in your collection. This gray herringbone scally cap, with its woven Irish wool, is no exception. Irish flat cap in charcoal tweed is a handsome salt and pepper design that never goes out of style. This scally cap from is made of pure wool. Traditional flat cap woven of Irish lamb's wool in brown herringbone is in the eight piece style.